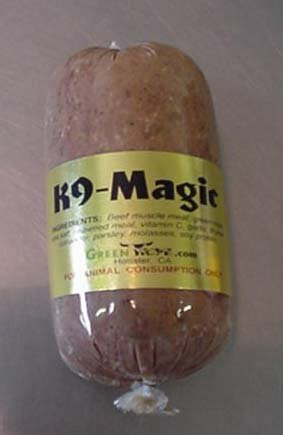 K9-Magic is a cooked training treat. 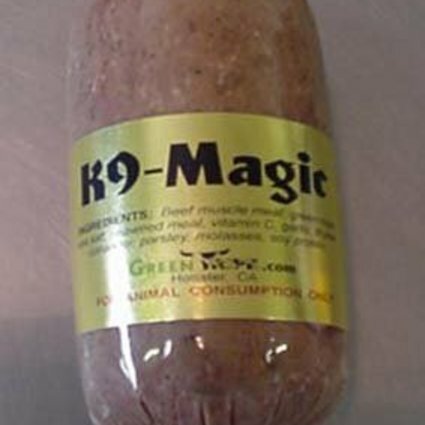 It is made of muscle meat, green tripe, oat flour, garlic, thyme, coriander, and parsley. It is preserved naturally with Vitamin C and sea salt.